As some of you may know, I am obsessed with the lip treatment LipSmart ever since I purchased it at the It Girl Expo.﻿ Due to the love of the product the company decided that they wanted to work with me in some way. I decided that the best way to work with them was by giving my readers an opportunity to try LipSmart for themselves. I know how frustrating it is to have dry lips, in Miami many girls suffer from that problem and those women with fuller lips understand the pain of having dry and cracked lips. I myself have full lips and I always have a hard time making any lipbalm give me the results I need, with LipSmart I have noticed how smooth my lips feel every time I use it. I cannot get enough of it and for that reason LipSmartUSA and Chic Streets and Eats is giving away not 1, not 2 but 5 LipSmarts to five lucky readers! I know you will be very happy with me when you have smooth foxy lips. Want to know more of how LiSmart got started and the woman behind the product see right below. (**For Entry and Giveaway rules please scroll down to end of the post). 1. What made you want to create your own lip plumper/treatment product? When lip plumpers came to the market, they burned and irritated my lips, and after realizing I wasn’t alone I decided to do something about it. I began to research solutions for lip ingredients that would volumize, nurture and moisturize on a daily basis and deliver soft, silky, voluptuous lips without any irritation. 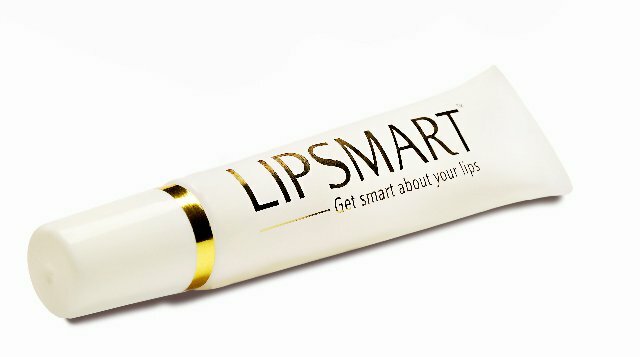 True to my heritage, and after 2 years of research, I developed LipSmart with my chemist and quietly entered LipSmart into the Luxury High End Cos Bar Chain. The LipSmart solution has caught on like a wildfire, through word-of-mouth praise and became the bestselling product by volume. LipSmart is now in 100 locations, including Bergdorf Goodman New York, St Regis Spas, Plastic Surgeons and Dermatology. 2. How does LipSmart work, and can girls with full lips use it as well? LipSmart has an ultra-hydrating technology that works by stimulating and compensating for two very important water holding components that constitute the molecular structure of the skin on the lips called Collagen and Hyaluronan. These components play an integral role in shaping filling and defining the appearance of the lips, along with restoring the correct moisture levels. LipSmart's hydrating technology locks in the moisture within the lips inhibiting your moisture from evaporation, and creates volume by retaining your moisture. It’s like giving your lips a drink of water, its perks them back up! Even with full lips, you will need to maintain the quality of the skin on your lips to keep the skin looking healthy and nourished. 3. How has LipSmart changed your life? LipSmart has changed my life, by helping so many others with the same issues I was having. Suffering from dry lips is the result of deflated, thin and aged looking lips. I have received feedback from so many individuals, including customers undergoing Chemo, which left their lips very dry. After using LipSmart, they have reached out to me to let me know that this is the only product that has given them long term relief. They weren’t even looking for a fuller lip, but it gave them confidence to make them look and feel better. It was a bonus to using the product. 4. I see you are a California-native what made you come to Miami? I came to Miami for a relationship, but fell in love with Miami instead, and decided to stay. I still go back to California and Aspen Colorado where I grew up. 5. What do you love most about sunny Miami? The weather and life style. 6. Why do you think Miami girls will love LipSmart? LipSmart is the perfect product for having beautiful lips. It moisturizes hydrates and plumps all in one, and is an easy product to use on a daily basis. It’s the foundation for beautiful lips! It’s not sticky, so you can use it underneath your lipstick and over. It’s thin in consistency so it can deliver water loving components to replenish moisture deep within your skin on your lips. 7. Your aspirations for the future? I’m working on other Lip treatment products to stay within the structure of my company. I feel the Lips are the brightest feature on your face, and the most ignored. We use a lot of lipsticks and cover ups, but not a product that can get underneath the skin to keep them looking young and healthy. I have a product called LipSmart Extreme that will be coming out soon, that will complement the LipSmart brand. Thank you Briana Brumer for taking the time to answer these questions. 1. You must like LipSmart's Facebook page here. 2. You must like Chic Streets and Eats Facebook page here. 3. 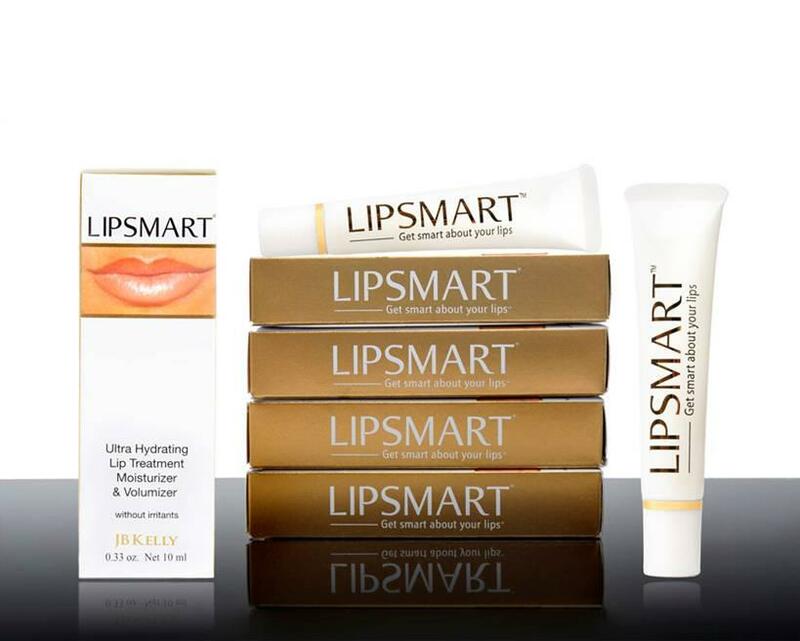 Leave a message on my facebook page explaining why you need LipSmart in your life and your email address. 1. You must enter your reason for wanting LipSmart product AND your email address on my facebook page. Any entry missing any of the entry rules will be disqualified. 2.Any offensive entries will be removed and disqualified. 3. Giveaway open to US residents only. 4. You must be over the age of 18. If you are younger, please ask your parents for permission. 5. There will be 5 winners for this contest, 5 chosen by Chic Streets and Eats at random. 6. Contest ends May 14, 2012, any entry after that will NOT qualify. 7. The 5 winners will be notified by email address and must respond with mailing address within 48 hours to claim their prize or another winner will be chosen. 8. By entering this giveaway, you are agreeing to have your name posted on my facebook page if you are selected as the winner. 9. LIPSMART USA will distribute and mail the 5 prizes to each of the winners. 10. Only one (1) entry per individual. Great post! and thank you thank you for your comment, you made my day! and I will send you the photo right now! Kisses and come to visit me ...and see around Miami, you are a lovely Blogger! I can't wait to find out the results of the giveaway! I love your blog Ana! Please let me know when you will be attending another event. Would love to meet you!